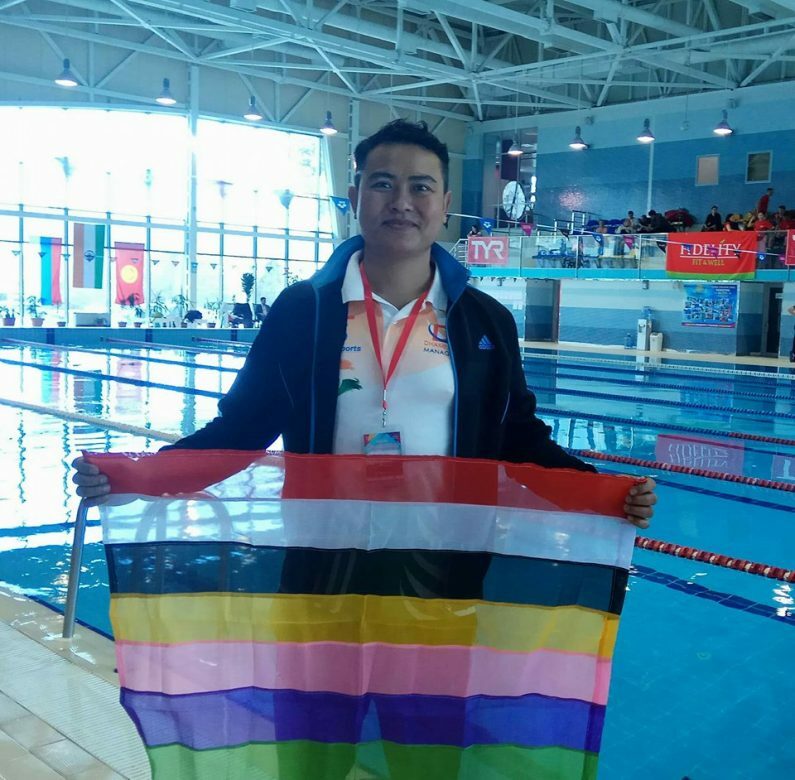 Imphal, Feb 11: Manipuri swimmer participating at Master Swimming Championship at Almaty, Kazakhstan has bag gold medal at the championship today. Salam Jayenta Singh (38 yrs), son of Salam Dhaneshwor Singh of Kongba Kshetri Leikai in Imphal East has been participating the Master Swimming Championship at grand pool of Almaty, Kazakhstan which had begun from 8 February till 11 February, 2018 along with other 43 swimmers representing India. Jayenta bagged gold medal in 50meters breast stroke in todays championship event. Altogether four country, namely Kazakhstan, Uzbekistan, Russia including India are participating in the championship. Mention may be that, Salam Jayenta is participating the championship with self sponsor, help from his friends and colleagues. No sponsor or financial support from the concern which is very unfortunate for players like Jayenta who are participating many events and championship at the international level and bringing medals making the name of their country and state proud.